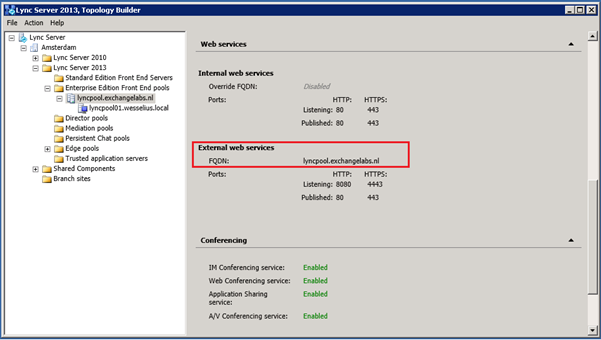 In our environment, the external Lync clients connect directly to the Lync Edge Server. 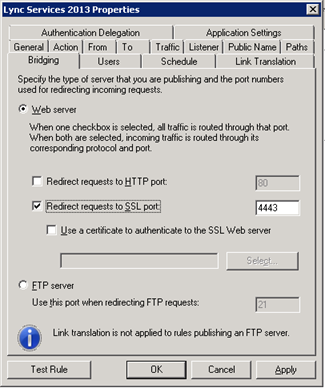 This Edge Server is also used for federation services with other partners. 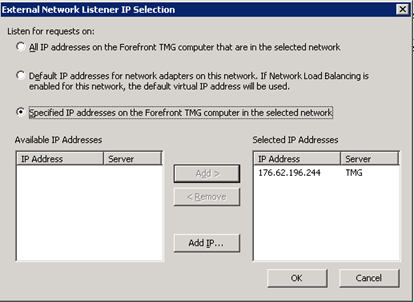 The TMG Server is a different server with a different external IP address. 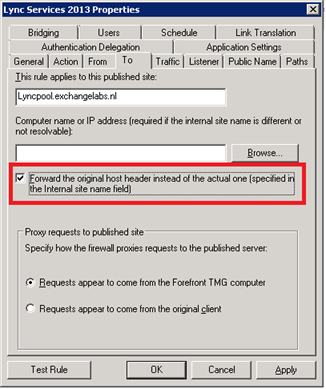 So, the lyncpool.exchangelabs.nl FQDN will point to the TMG Server, while the edgepool.exchangelabs.nl will point to the Lync 2013 Edge Server. 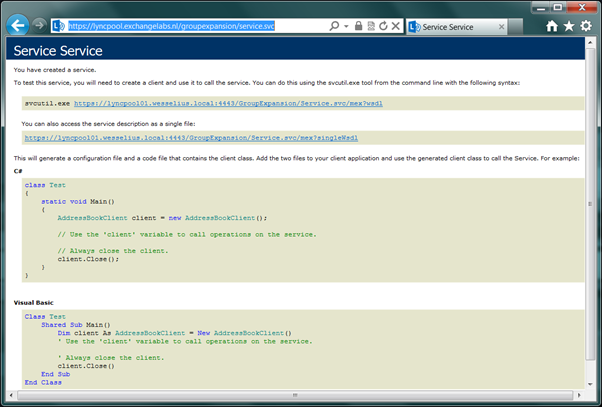 As you can see in the picture above, the web service is listening on port 4443 and published on port 443. 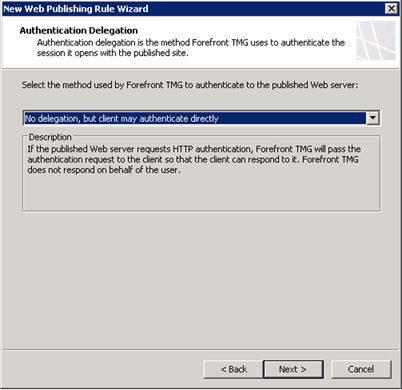 This should also be configured in the TMG rule later on. 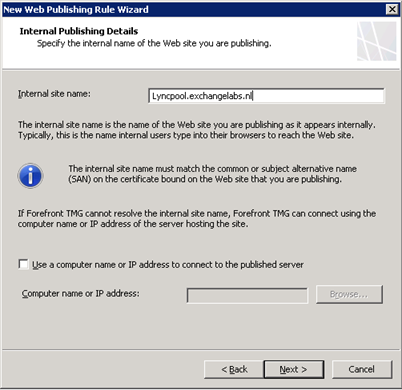 On the Internal Publishing Details page, in the Path (optional) box, type /* as the path of the folder to be published. 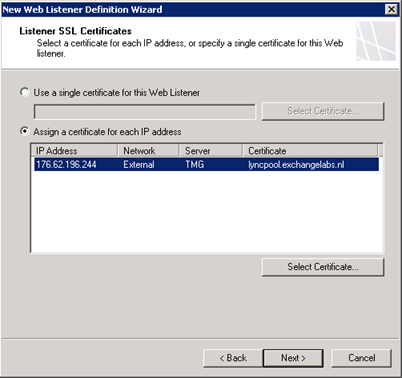 Again, follow the wizard and assign a certificate. 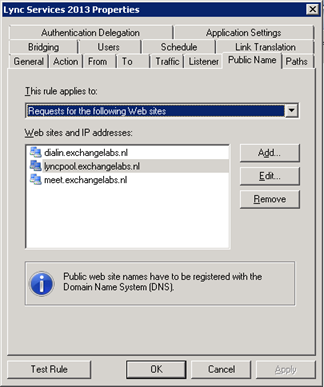 Besides the FQDN lynpool.exchangelabs.nl it also needs meet.exchangelabs.nl and dialin.exchangelabs.nl configured in the Subject Alternative Names field. 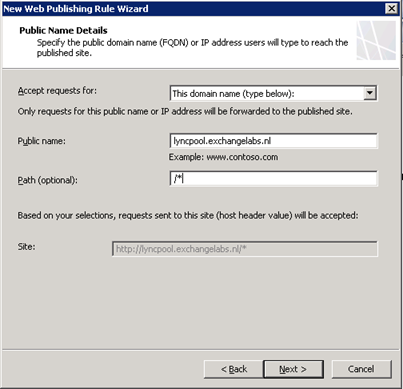 Now finish the wizard and click Apply in the details pane to save the changes and update the configuration. 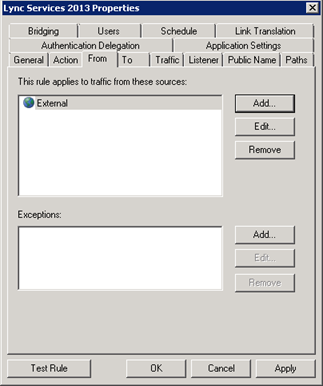 Click Apply to save changes and click Apply in the details pane to save the changes and update the configuration. 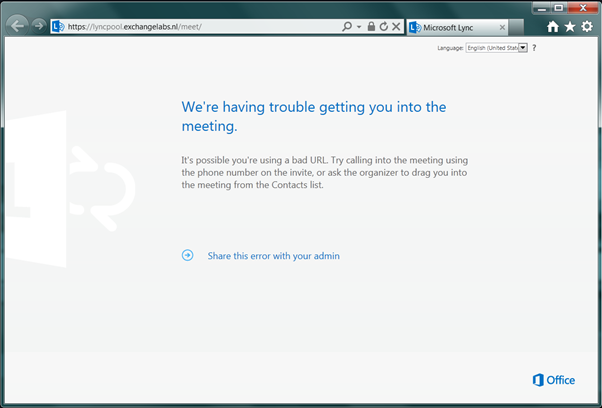 The Lync 2013 Front-End now works correctly and for external connectivity and federation with other parties the Lync 2013 Edge server can ben used. 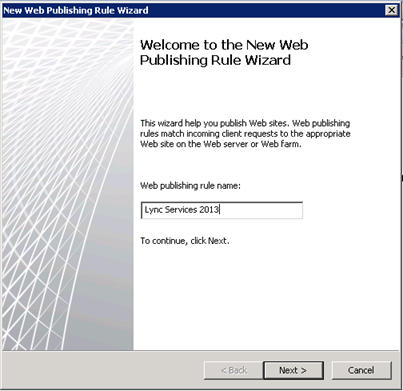 The TMG server in this blog will publish additional web services that are used in a Lync environment via the Internet. 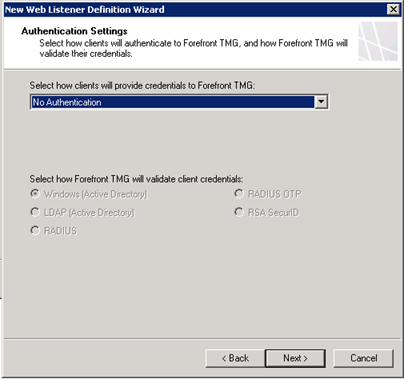 Since TMG 2010 is basically end-of-life this reverse proxy can be configured using an F5 load balancer, I’ll get back on this in a future blog. 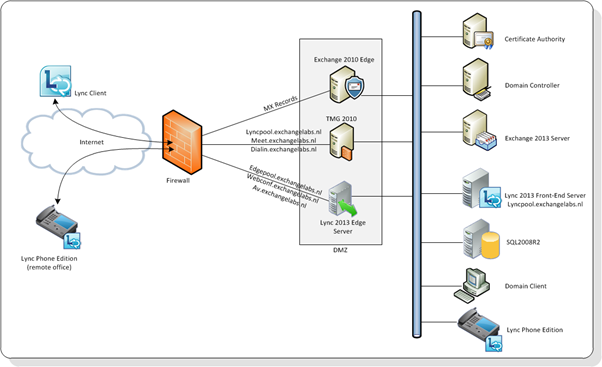 The next step is to configure a SIP trunk with a Lync 2013 mediation server. Stay tuned! 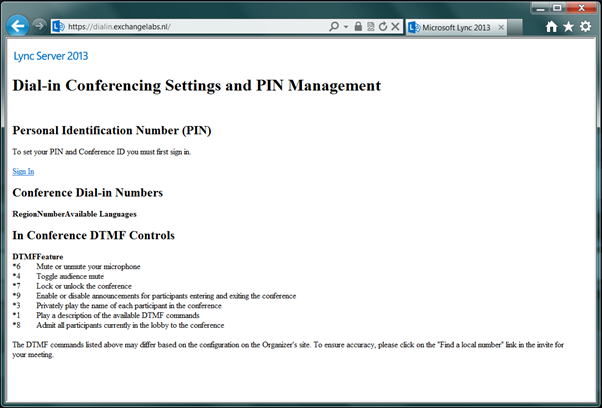 I have Lync 2010 system that uses TMG to publish to the outside, and I renewed a certificate last year, and TMG didn’t take the certificate. I ahave been trying to get it to work but no luck. do you have any suggestions? The external access worked for 4 years before this.